A bright and attractive smile always creates a good impression. A smile can convey many things. A pleasing smile is always an asset, it makes people respond in a positive way. To get a perfect smile, shiny and beautiful teeth are needed. Periodic tooth cleaning and polishing can maintain your oral hygiene , health and will gift you an attractive smile. Tooth Cleaning: It is the process of removing plaque (bacteria infected film) and other deposits from the teeth. The main purpose of cleaning is to prevent cavities and other tooth diseases. Deep cleaning of tooth is also known as scaling. Tooth Polishing: The main aim of polishing is to make the surface of tooth clean and smooth, so that bacteria's cannot stick on to the tooth. Visiting your dentist every six months, will help you to maintain a healthy gum and tooth. Prevent gum diseases, cavities and oral cancer. Cleaning or Scaling: Special instruments are used to remove plaque and other deposits. Ultrasonic scaler is used to loosen those hardened tartar from the surface of teeth. A high buzzing sound is heard during this process. Polishing: Soft rubber cup called spins are used for polishing. This will remove stains and make your teeth smooth. Polishing is done post scaling. The cost of deep cleaning depends on the amount of plaque and tartar deposits present in mouth. 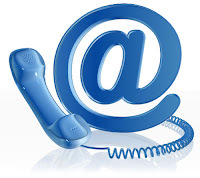 Cosmozone Dental Clinic is one of the best dental clinic in Noida . It provides an effective tooth cleaning and polishing experience. This clinic provides the treatments in an affordable cost. Let’s smile confidently. If the gum disease is not cured with antibiotics or root planing and scaling. Gum surgery is used to treat gum disease which cannot be cured with medications. 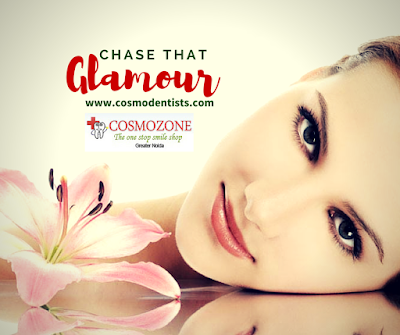 Cosmozone-The one stop smile shop offers Receding Gum Therapy . It also posses experienced surgeons for performing gum surgeries for Periodental Gum Disease treatment. Gum surgery involves the grafting of gingival tissue of a part of the mouth where they are receding gums, due to periodontal disease, aging, or natural wear of the gingival tissue. Gum contouring involves the removal of excess gum tissue, manually or more commonly with a laser.. If a patient is at risk for tooth loss due to gum recession, gum surgery may be performed as a preventive measure. Other indications of surgical rubber are the appearance of very long teeth and gums weak due to periodontal (gum) disease. Gum contouring may be required to correct a smile "rubbery". A gummy smile is referred to as the teeth that appear to be too short and / or gums that appear to be too prominent. This can take place by means of an excess of the gingival tissue on the teeth (excessive gingival display), or by an excessive grinding of the teeth, causing the teeth shortened, and making the gum tissue appear more prominent. Gum contouring surgery or rubber are often performed in conjunction with other procedures such as composite resin bonding, crowns and veneers. The procedure involves the removal Contouring Gum rubber fabric in excess, usually to correct a smile "rubbery", but can also result in the removal of bone. The procedure Gum Surgery involves the removal of a tissue graft from the roof of the mouth (palate) and suture of the fabric on the affected area rubber. The gum area concerned is locally anesthetized and prepared for grafting.